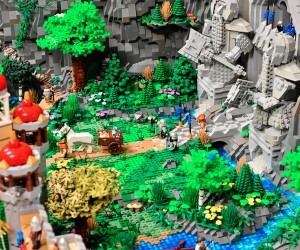 Somehow, LEGO and J.R.R. 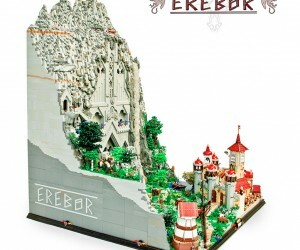 Tolkien’s works just seem to go together. 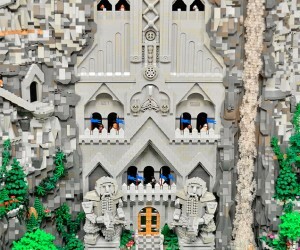 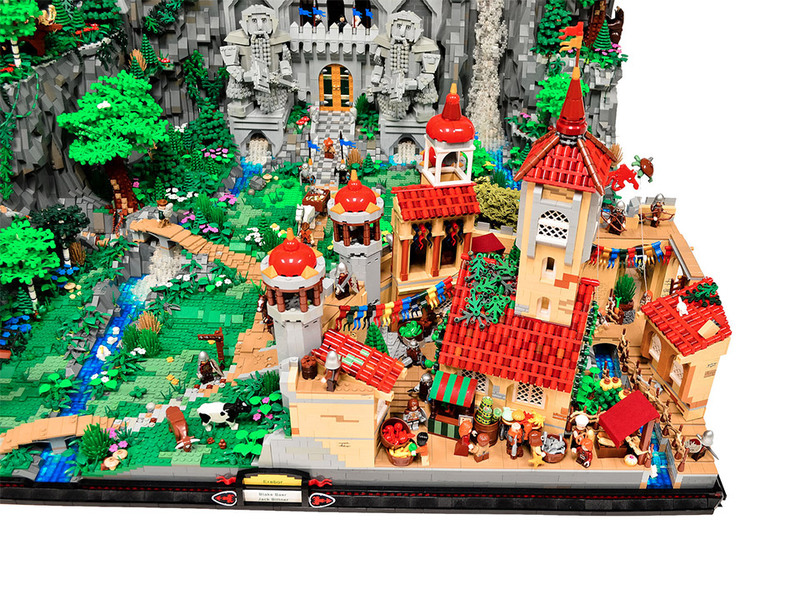 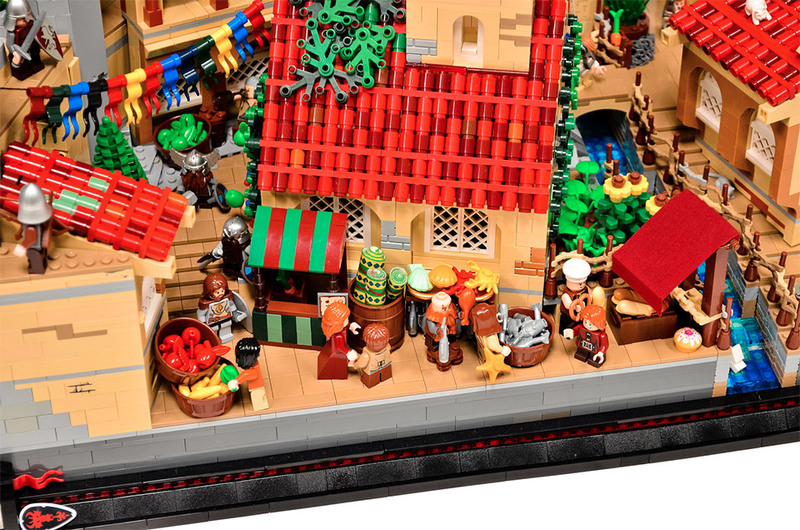 We’ve seen the LEGO Rivendell, Lord of the Rings LEGO Artwork, a Life-Size LEGO Hobbit Bag End, and a LEGO Battle of Helm’s Deep. 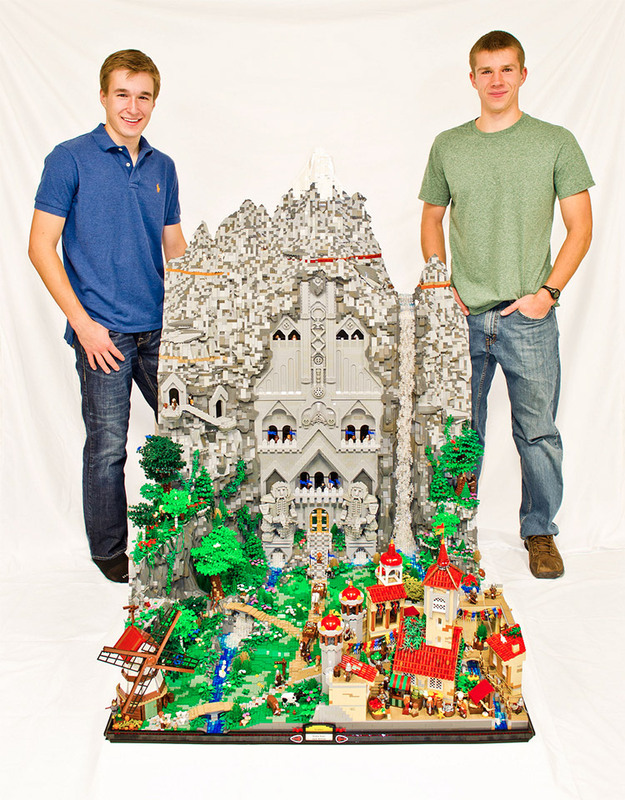 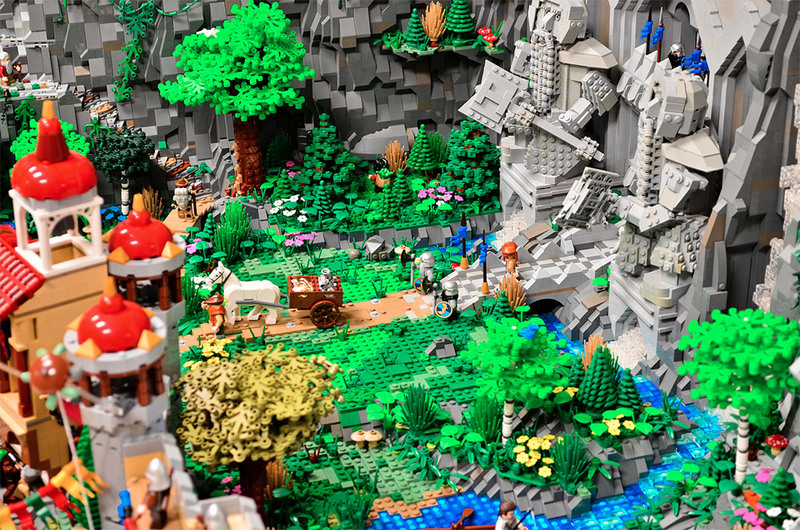 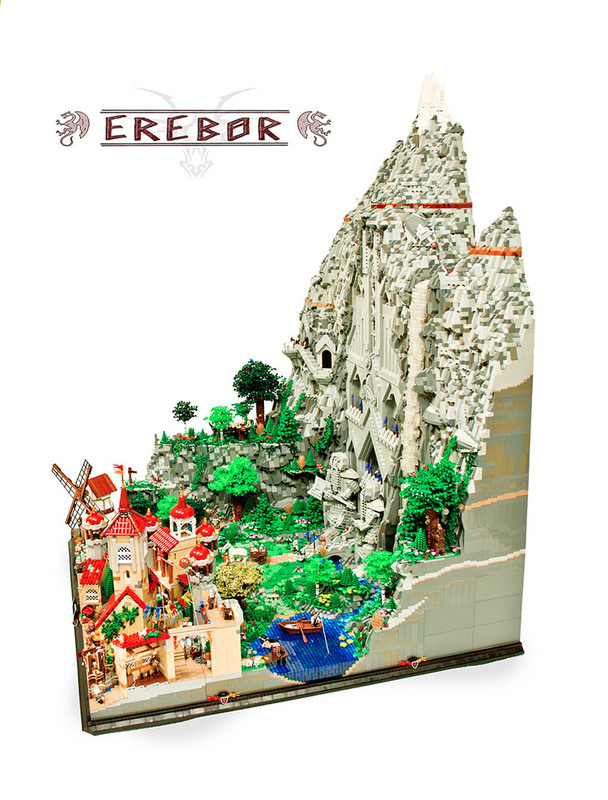 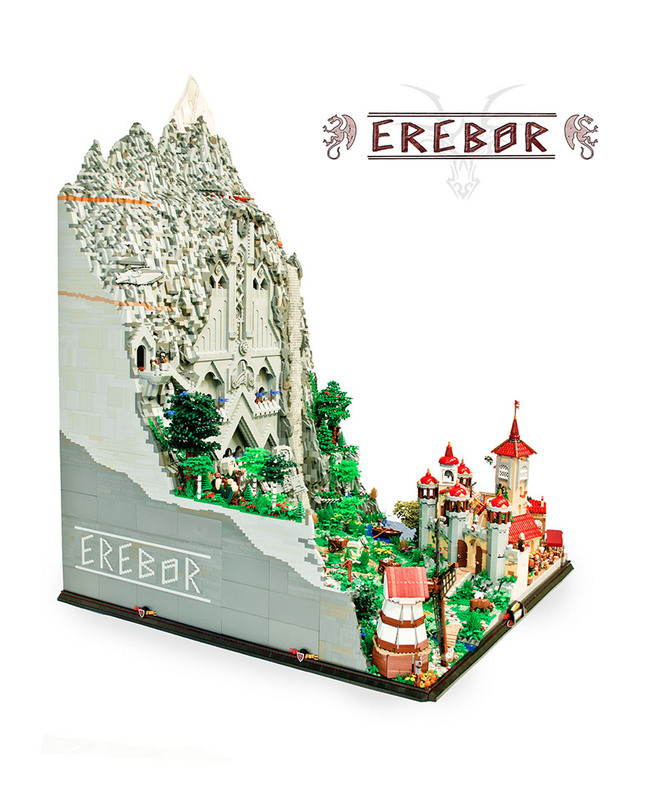 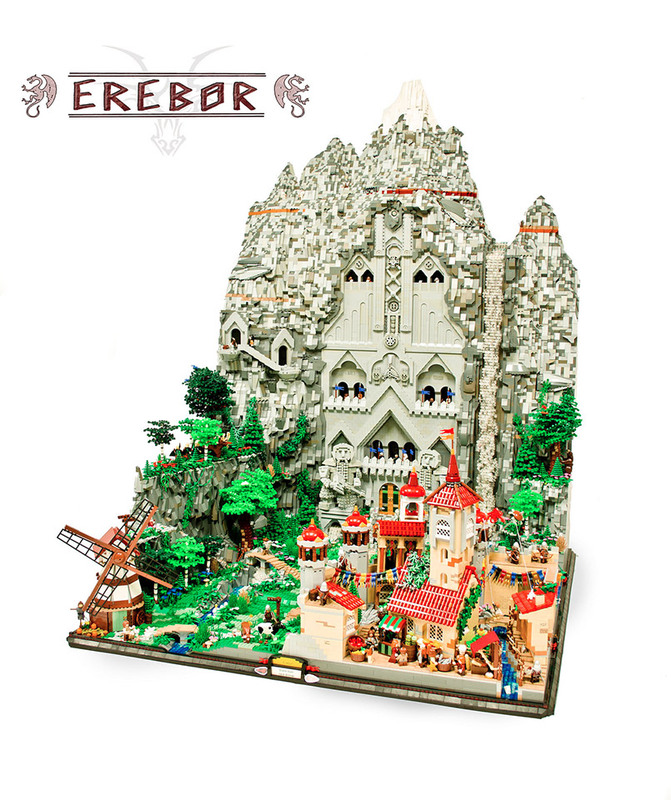 Now, teenage LEGO builders Jack Bittner and Blake Baer have created the The Lonely Mountain, aka Erebor, as seen in The Hobbit: The Desolation of Smaug and The Hobbit: An Unexpected Journey. 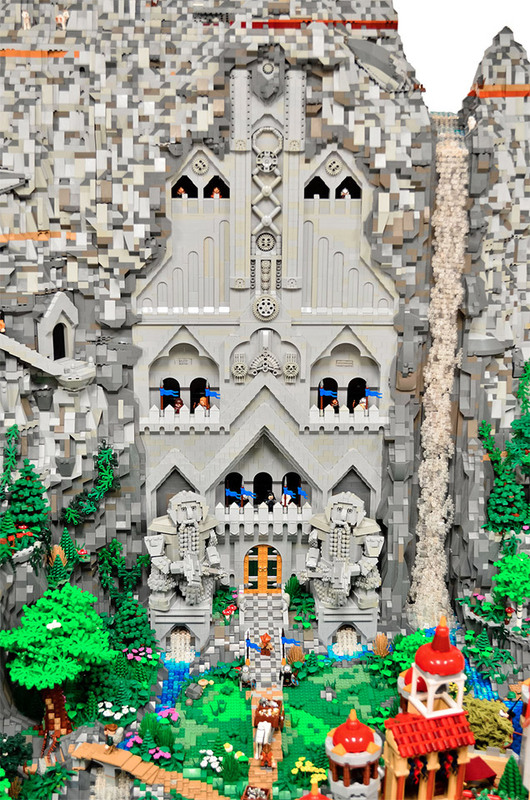 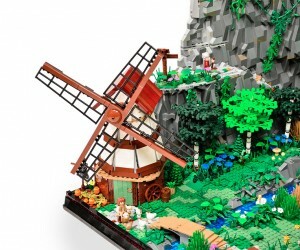 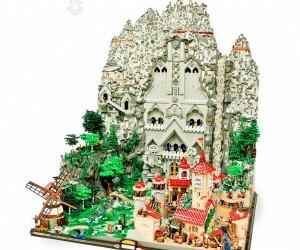 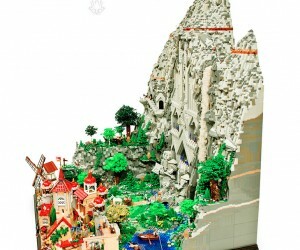 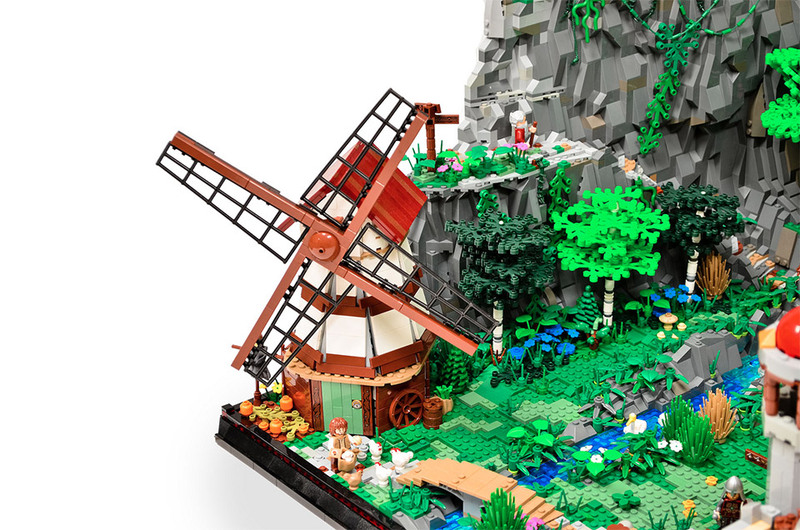 Using over 80,000 LEGO pieces, the work weighs 200 pounds and stands 56″ tall. 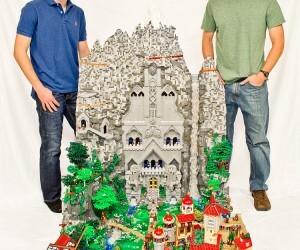 It took the pair 400 hours to complete.